Minutes after Carson was born he was showing signs of distress. He was born with a hemoglobin of 5, an extremely high lactic acid level (highest was 22), a damaged liver, and many other issues. At a day old his lungs collapsed and was put on ECMO, which he was on for about five days. We spent about 80 days in the NICU at CHOP. In his short four months of life he’s been admitted multiple times. He lives off about nine different meds & one of the highest sodium bicarb doses they’ve ever seen. He has his NG tube to administer these meds, and some feedings. Carson gets blood transfusions about every two weeks, and weekly bloodwork to make sure he is stable while at home. Despite everything, he’s the toughest, sweetest, most beautiful little boy! 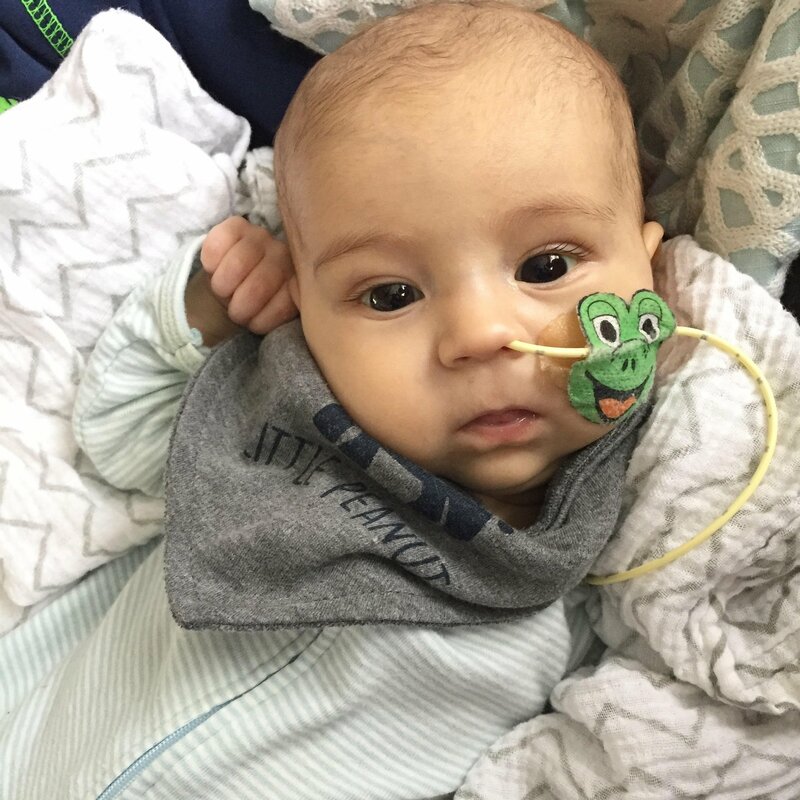 Even though we know his life will likely be in and out of hospital & doctors offices, our goal is to give him the most loving and fulfilling life we can.